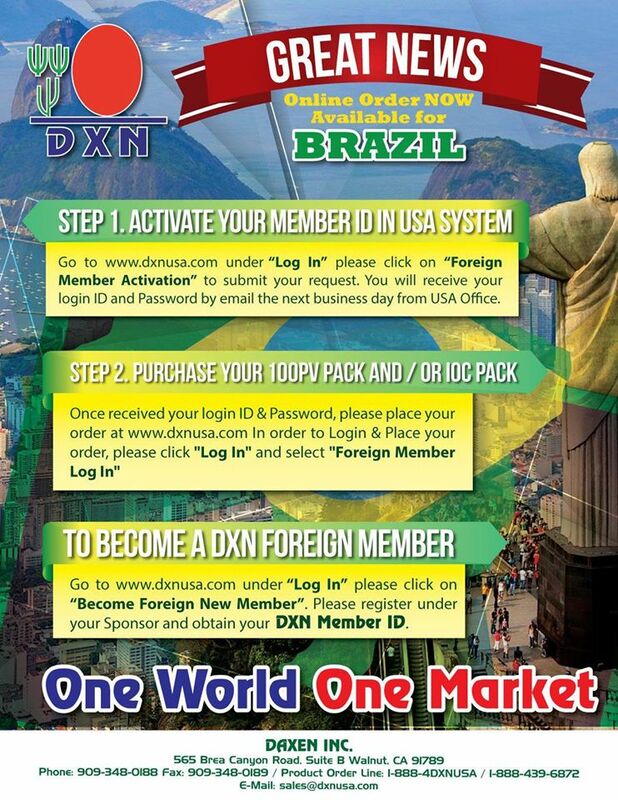 How to order DXN products in Brazil? We have a good news for DXN Brazil members. Do you have a DXN ID? Are you a DXN member? Fill it out with your datas – send message – to submit your request. You will receive your login ID and Password by email the next business day from DXN USA Office.